George Duck (and his descendants) ran the butchers in Grosmont from 1820, the date being engraved into the front of this shop. It no longer serves as a butcher but the sign has been recently repainted as its tatty on the Google Street View images. The bridge to carry the Whitby, Redcar and Middlesbrough Union Railway over the valley at Staithes was originally built in 1875 but didn’t open to traffic until 1883. 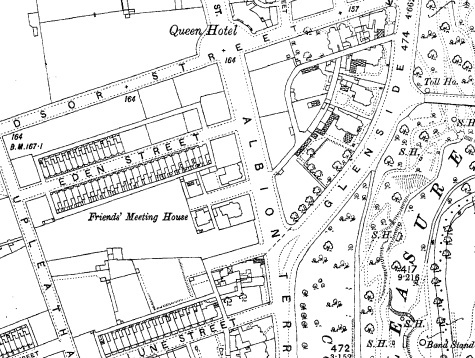 Extra braces were added in light of the Tay Bridge disaster in 1879. A bell was installed on the bridge to warn of high winds when trains could not cross. The viaduct was demolished in 1960 following the closure of the line, the northern abutment can still be seen. This recently erected sculpture and information board commissioned by Lingdale Lift Off Community Group records the cycling heritage of Lingdale. 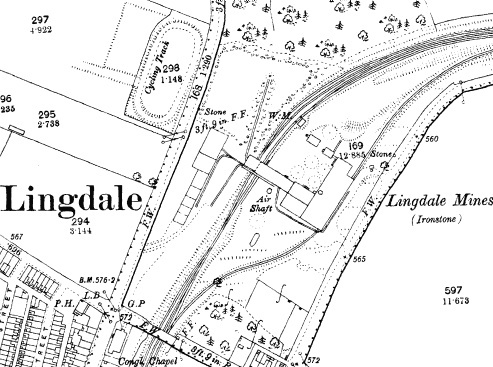 Lingdale Cycling Club had its own cycling track in the late 1800s as shown on this map, although the original was covered by the shales waste from the ironstone mine. 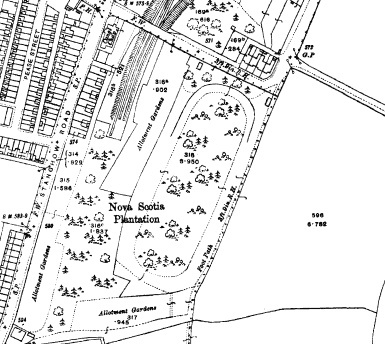 It was then relocated to the south of the mine site as shown on early 1900s maps. Coastial erosion can be seen at work at Cowbar. The road has actually been moved back from the cliff edge twice, with the oldest road currently in the process of going over the edge. A detailed report of the ongoing monitoring of the area can be found here.